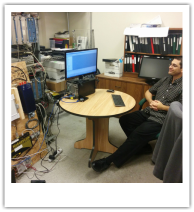 Testimonials - Rapineda Software Systems Ltd.
"The one thing that sets Alex apart from anyone I have ever met is his commitment to a deadline. He works with you to ensure it is realistic from the start and goes above and beyond to make sure he delivers even when we were late with the inputs. Pair that with someone who is always responsive, reliable, organized and structured and you have found your man! " 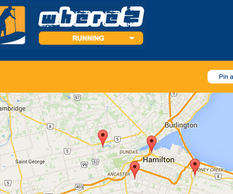 Brief: Hospital Connection, a Ryerson DMZ Startup, required upgrades to their existing web application. We were brought on as their CTO for hire. 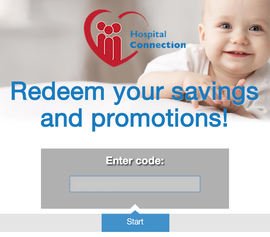 Hospital Connection had a tough deadline for new features that would enable them to broadcast their new sponsors and partners products. We developed a model of their existing system, previously a black box system, and enabled them to work with us through planning tools through iterations of the new feature sets as they developed. "With limited time and resources within our company it is important that a company like Rapineda is able to work closely with Condor’s personnel to ensure the project is completed on time and tested in the customer’s location. We found that they not only were able to accomplish the work but diligently and professionally to ensure that all testing was completed to accommodate Condor’s needs and requests. Condor will definitely consider using Rapineda as a software resource going forward." Brief: Condor Signal & Communications Inc. recently contracted Rapineda to modify Condor’s proprietary software Train Movement Management for the Toronto Transit Commission’s Ashbridges Bay Yard in Toronto.Their legacy Train Management C++ software needed upgrades for a new deployment. We were able to find the best talent and support the development and planning throughout the project. "With Alex's help we've been able to solve problems for our clients quickly and reliably. 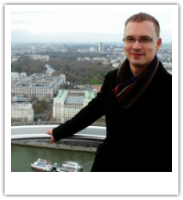 We regularly count on his expertise in programming, MySQL and PHP when we find ourselves in those difficult situations and need a solution in a hurry." Brief: Kubes Media calls upon us to fix outlier issues with their Drupal applications and themes, these would be webform submission limits due to apache2 configuration issues, or webform component issues lying outside of Drupal configuration alone. "When our company's website needed a technical overhaul I was thankful to have found Alex Pineda. He listened carefully to what we needed and completed the work with upmost efficiency. We would be happy to work with him again." 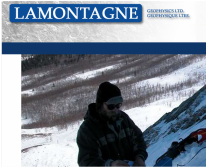 Brief: Lamontagne came to us seeking help in fixing their legacy website from an HTML/CSS structural standpoint and not from a design one. We revamped the structure from scratch while keeping the content, look and feel intact. Now Lamontagne is able to add showcases pieces without any hassle. Brief: Rapineda was asked to develop a small satellite web application called Where2. We were provided HTML/CSS design specs with the instructions to make it come alive.